Preshrunk 6 oz. 100% Cotton Jersey Knit (Blended Cotton/Polyester In Sport Grey). These polos have contoured welt collar and cuffs and 3 wood-tone buttons on a clean-finished placket with reinforced bottom box. There is also a double-needle bottom hem, quarter-turned to eliminate center crease. Colors: Black, Charcoal, Forest Green, Maroon, Navy, Red, Royal, Sport Grey or White. There is a $6.00 surcharge per polo for 2X. Please add the applicable surcharge to your order. 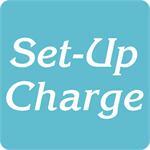 For logos/text: Add a set-up charge of $40 per spot color/per location for all new orders. 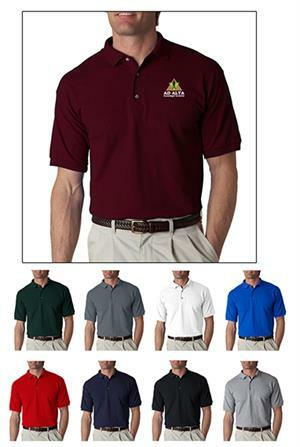 There is a $6.00 surcharge for each polo ordered in size 2X. Please add the qty of 2X polos you are ordering below.